When Glendora Subaru drivers need auto repair services, they contact the experts at All Time Gas & Diesel. Our auto mechanics excel at auto & diesel repair and have years of experience and training. Customers trust that they’ll receive superior customer service with a smile, along with an honest explanation of the work needed. 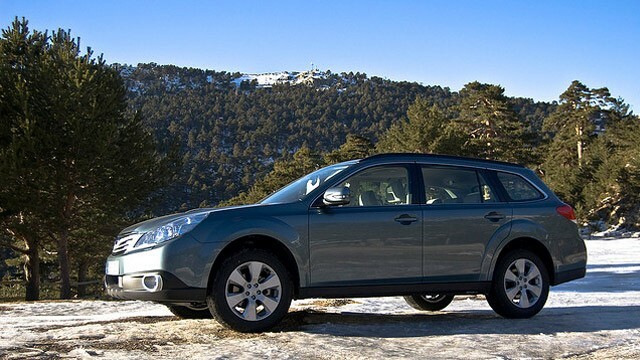 Our goal is to do our job thoroughly and quickly so you can be back on the road feeling safe in your Subaru. When you bring your Subaru to All Time Gas & Diesel in Glendora, our team will go over your concerns. Our auto mechanics and customer service advisors won't push unnecessary repairs on you or pull the wool over my eyes only to jack up the price. We’ve indeed raised the bar for quality auto & diesel repair service. We’ll explain what needs to be done to your Subaru, the consequences if you neglect your vehicle and what it will cost, all before we turn a wrench. “I'm new to the area and I was referred to All time gas & Diesel repair. They were very friendly and professional. Before they did any extra work that they had found, they called first and let me decide if I could do the work this time or the next. Most auto shops do all the work and you are surprised when you get the bill, but not All Time they let me know the price every step of the way. The work they did was perfect and I will use their service again, and recommend them to anyone. -- Wes K.
Because of our years of experience and expertise, Subaru drivers from and around Glendora trust that All Time Gas & Diesel is truly unrivaled. Our professional and adept auto mechanics are auto & diesel repair specialists and are your leading choice when you want Subaru repairs done right the first time. Schedule an appointment today, or stop by 610 S. Vecino Ave. Glendora, CA 91740.